Corporate website, slogan and logotype. 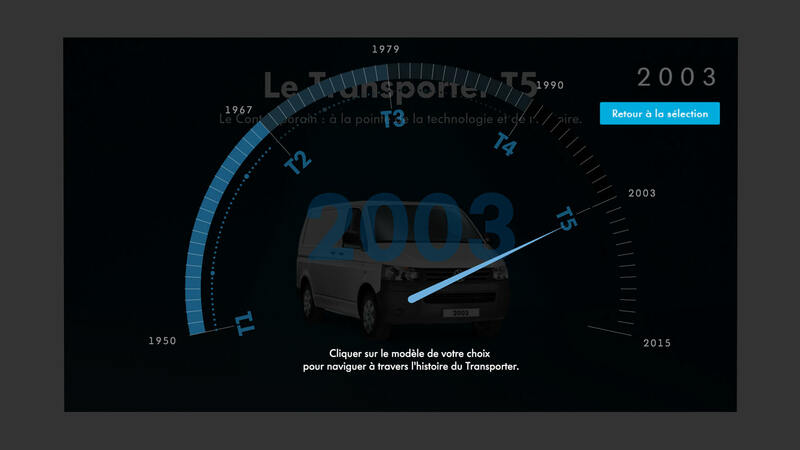 "Volkswagen Véhicules Utilitaires" France launched a teasing campaign for the Transporter 6th generation model. We developed "History only remembers the first". 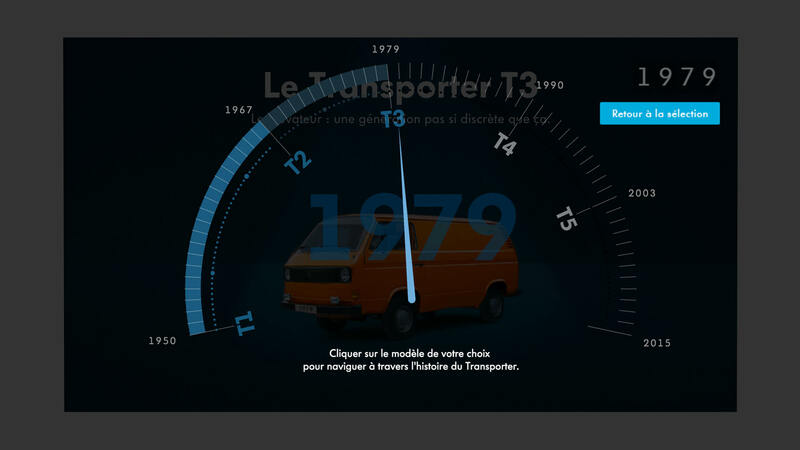 A campaign including a memory challenging print ad, a timeline webspecial with social media game integration and display ads. The campaign reminded our target audience that the VW Transporter is the only true original - since 1947. 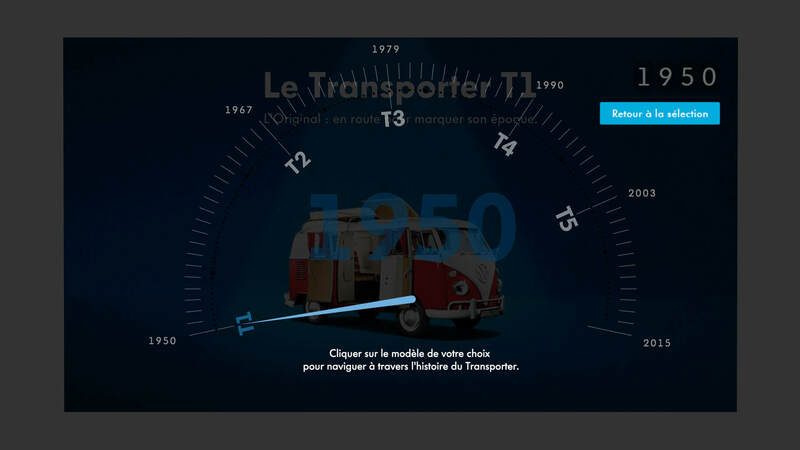 During the first two weeks of the campaign users were invited via social media to find answers of a multiple choice game integrated in the "Transporter Timeline Webspecial". 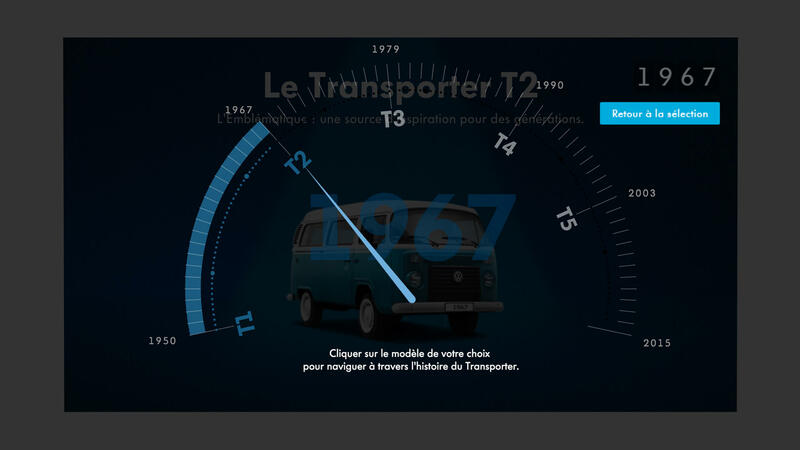 Participants could win a trip to the south of France with the one and only, the original T1. Remind yourself that history only remembers the first. outstanding icons of last century. Driving through the history of an icon. Getting in-depth information of historical and technical facts.